Go back to the basics of faith with these 19 Lifebuilder series sessions for individuals or groups. Sometimes our worship loses its passion. Our prayer life becomes stagnant. We forget why we are serving God. And slowly, subtly, the world's ways become our ways. The New Testament book of Romans addresses these problems, showing us how we can break out of old patterns and become new in Christ. 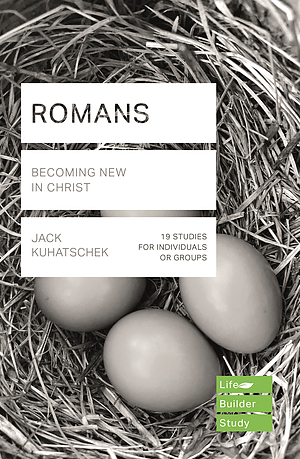 Lifebuilder: Romans by Jack Kuhatschek was published by IVP UK in November 2018 and is our 1733rd best seller. The ISBN for Lifebuilder: Romans is 9781783597970. Be the first to review Lifebuilder: Romans! Got a question? No problem! Just click here to ask us about Lifebuilder: Romans.